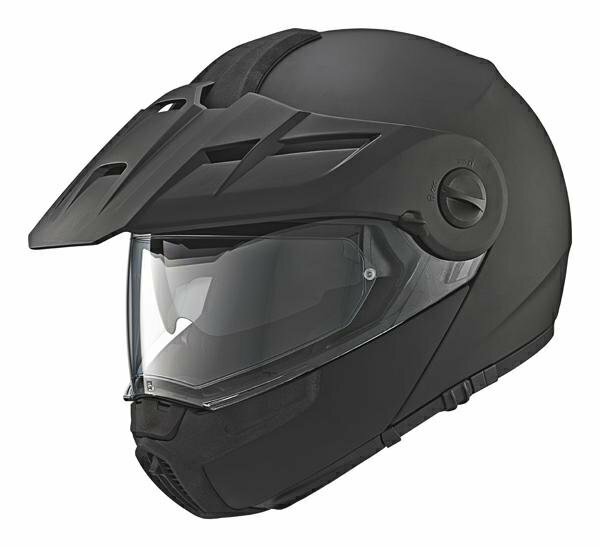 The E1 offers touring and adventure riders a premium modular helmet designed to excel for when they leave the tarmac behind and head out on the dirt track. 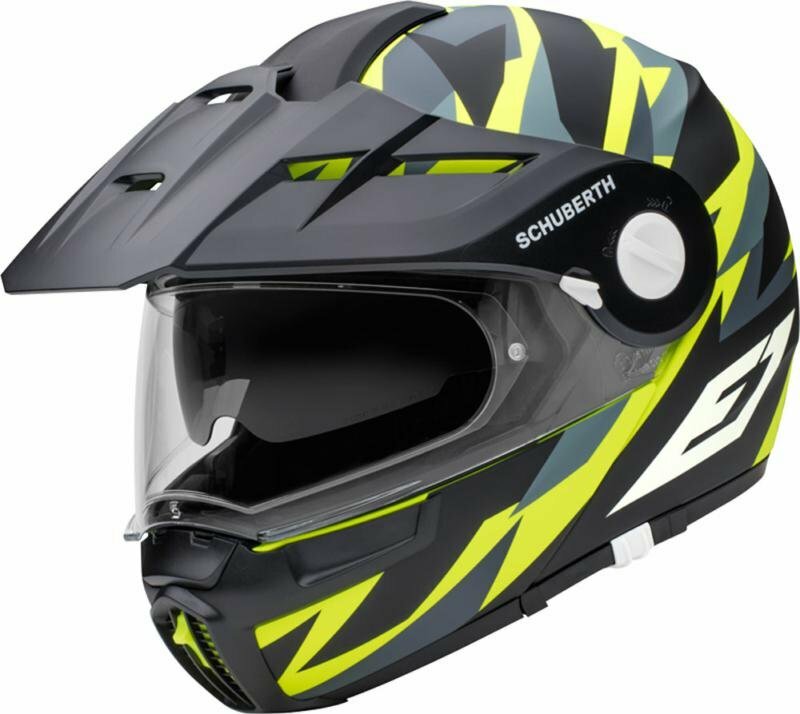 The Schuberth team created the E1 using Schuberth's very own aeroacoustics lab, which helped to create a helmet optimised for both aerodynamic and aeroacoustic performance. Using Schuberth's Anti-Roll-Off System to keep the helmet in place, removable and washable inner linings, Schuberth have created a helmet perfect for all adventures. 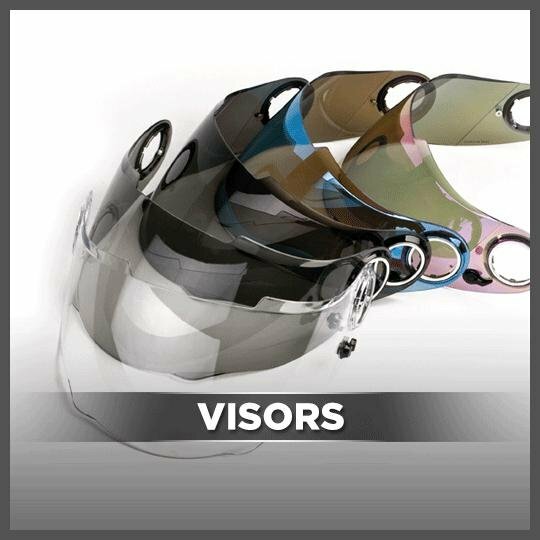 The biggest feature is the fully articulating peak visor, which can be adjusted to three different positions independently from the visor and chin bar. 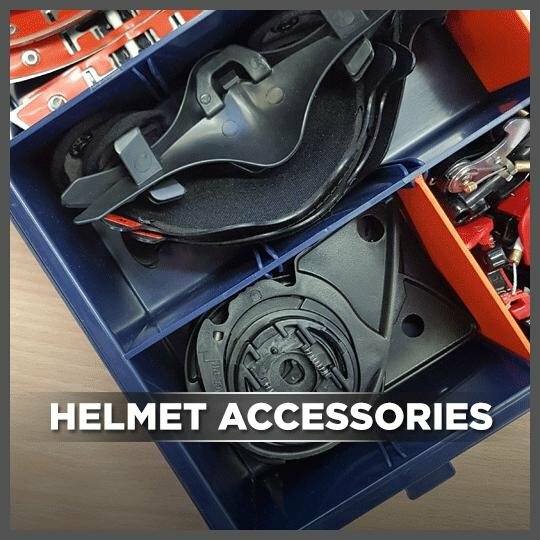 The E1 can be worn with both the visor and peak in place, or riders can choose to simply remove either piece to suit the needs of the ride. The E1 also features a closable air vent in the chin bar to make sure that the rider gets the air they need as the ride progresses and enhances, while a removable and washable filter helps to clean the air in dirty and dusty conditions. 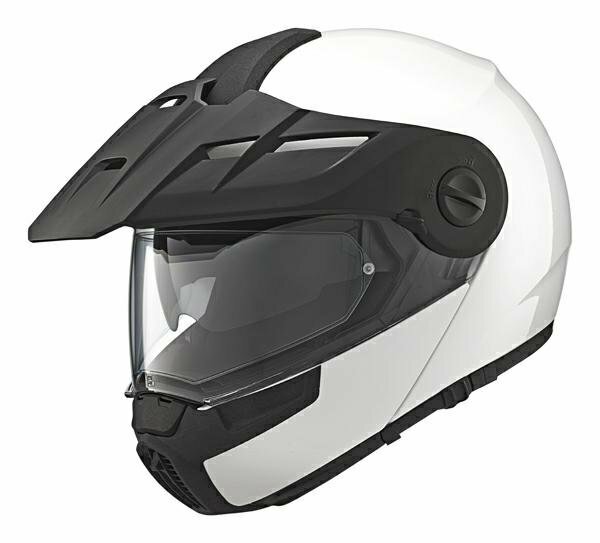 The E1 includes a built-in antenna for Schuberth's SRC-System PRO (sold separately). 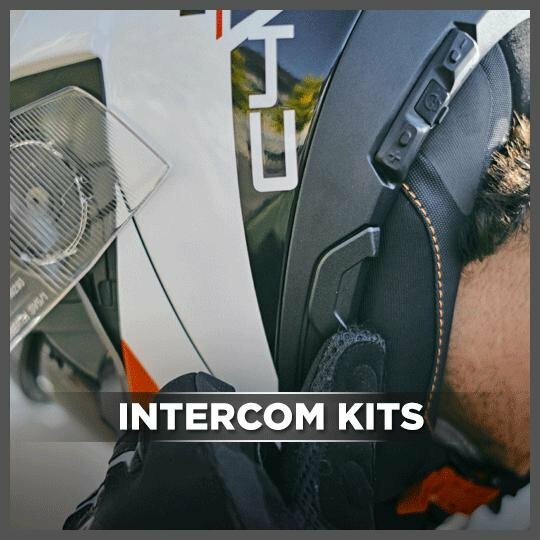 Taking advantage of the latest in Cardo communication technology, the Bluetooth SRC-System serves as an intercom with other riders and can connect to a GPS unit, MP3 player or mobile phone for navigation, music playback or phone calls.